I decided to become a writer in the third grade (or, as my Canadian friends call it, grade three), after winning a "Why My Mother is the Greatest" essay contest and having my entry published in a major newspaper. Seeing my words in print was a thrill! But everyone told me it's too hard for novelists to get published, so after college I spent fourteen years as the CEO of my own jewelry store chain before writing my first book. A mistake? Maybe...but my first heroine, Amethyst, was a jeweler, so at least I took advantage of that wise old saying, "Write what you know." And I learned a good lesson: Don't let other people tell you what you can or can't do! I write humorous historical romance mostly set in England and Scotland in the 17th and 19th I decided to become a writer in the third grade (or, as my Canadian friends call it, grade three), after winning a "Why My Mother is the Greatest" essay contest and having my entry published in a major newspaper. Seeing my words in print was a thrill! But everyone told me it's too hard for novelists to get published, so after college I spent fourteen years as the CEO of my own jewelry store chain before writing my first book. A mistake? Maybe...but my first heroine, Amethyst, was a jeweler, so at least I took advantage of that wise old saying, "Write what you know." And I learned a good lesson: Don't let other people tell you what you can or can't do! I write humorous historical romance mostly set in England and Scotland in the 17th and 19th centuries (Restoration and Regency periods). I've been oh-so-lucky to see my books hit bestseller lists all over the world, including the New York Times and USA Today lists, making this second career a real dream come true. I live in Southern California with my husband, our three young adult children, and one constantly shedding cat, and I still think my mother is the greatest! 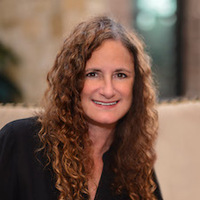 Visit my website at http://www.LaurenRoyal.com, where you can see the real people and real places in my books, enter a contest, sign up for my newsletter, and find historical recipes for the foods in my books. To ask Lauren Royal questions, please sign up. Lauren Royal hasn't written any blog posts yet.
" Missy wrote: "I am a huge fan Lauren Royal! I have all of your books in paperback and in ebook form." I'm so happy to hear that, Missy! Thanks for lett Missy wrote: "I am a huge fan Lauren Royal! I have all of your books in paperback and in ebook form." I'm so happy to hear that, Missy! Thanks for letting me know! :-) ...more "
There's no version of my book available on Nook with an ISBN beginning 294, I have no idea where that number came from! I've published this ebook in every stor..."
Understood, thanks for explaining all this to me! ...more "
" Gabrielle wrote: "Done. You can start over now. :)"
" Can I please have 2 new series created and these books added to each? https://www.goodrea Can I please have 2 new series created and these books added to each? Thank you so much! ...more "
" I remember reading lots of autobiographies in elementary school, but I haven't read one in years... "